You hear a lot about prenuptial agreements and the need to protect oneself prior to marriage, but you may not be as familiar with the postnuptial agreement, or postnup as it’s sometimes referred to. 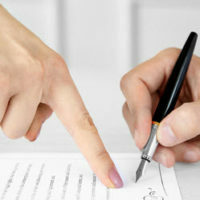 As its name suggests, this is a legal agreement that is drafted after the marriage takes place. In some cases, it contains similar terms as a prenup, but in most cases, it discusses a variety of other topics and points. Much like ensuring your prenuptial agreement will stand up in a court, it’s crucial to seek the assistance of an experienced Boca Raton family law attorney who is well-versed in postnuptial agreements in the state. When couples marry young or don’t have many assets at the start, a prenup can seem like a waste. However, as time goes on and you understand finances better and start making money, communicating about these potential issues can make a marriage stronger. Couples who are struggling with issues in their marriage sometimes turn to a postnuptial agreement. In some cases, not all, creating a document that outlines the problems the couple is struggling with can help them work through their issues. On the other hand, a postnup can make a divorce or survivorship claim more difficult. In a survivorship case, a postnup can present a problem if the terms somehow contradict the existing will. Some partners who are getting married for the second or third time may opt for the postnuptial agreement, especially if there are kids from an earlier marriage that need to be protected during any distribution of assets. Or, if there is a prenup in place, a postnup can clarify or add on to the existing prenup. Now that you’re married and settled into more of a routine, there may be scenarios that were not clearly covered in the initial agreement. Now that you’ve had a chance to live together, you both realize there are some topics that should be covered. Spouses who are trying to recover from trust issues with infidelity may turn to a postnup in order to protect themselves from it happening again. You can address stipulations surrounding a future divorce, and it may encourage both parties to try and make the marriage work. Just be cautious not to overpromise in the agreement, or it could bring added stress to the already troubled marriage. And, there is always the risk that the spouse who was cheated on is just going through the motions waiting for the postnup to be finalized before filing for divorce anyway. Another obvious negative to a postnup is the same complaint people have with prenups. The legal agreement feels like it’s tainting the marriage or setting the couple up for divorce right from the start. And, just as it can do good to discuss finances, it can also have the opposite effect and fast track an already rocky marriage straight to divorce. On its face, a postnuptial agreement is valid provided it meets certain criteria and doesn’t violate any state or federal laws. If a judge deems the agreement to be invalid, you will have to go through a traditional divorce proceeding. This is why it’s important to have an attorney who has ample experience in the area of pre- and postnuptial agreements. Contact the Law Offices of Schwartz | White today at 561-391-9943 to schedule a consultation.